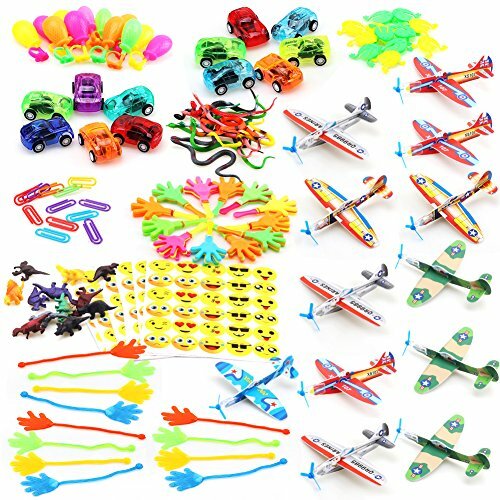 Solve the difficulty in collecting small toys or prizes for kids birthday party and prize box. 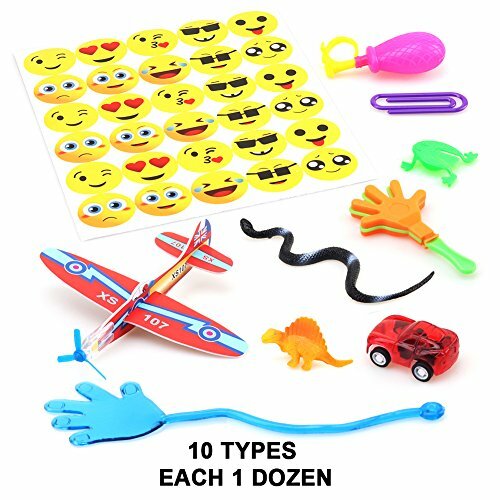 Very decent present for kids--they will be excited and enjoy these prizes and toys for a long time. 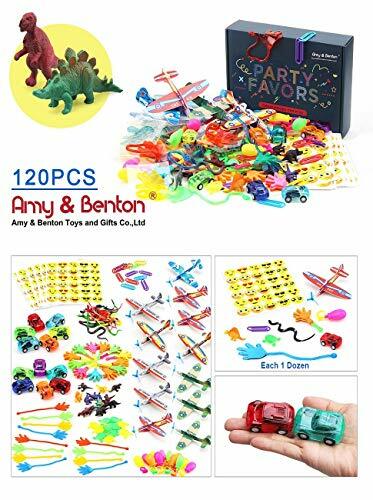 120pcs-1, 2 types of 100pcs, 80 pcs, 60pcs toy assortments, 48pcs lip whistles, 60pcs Emoji rings & Birthday Cake Toy with Candles and Music in Amy & Benton. which devotes in product development, production and satisfaction of purchase experience. 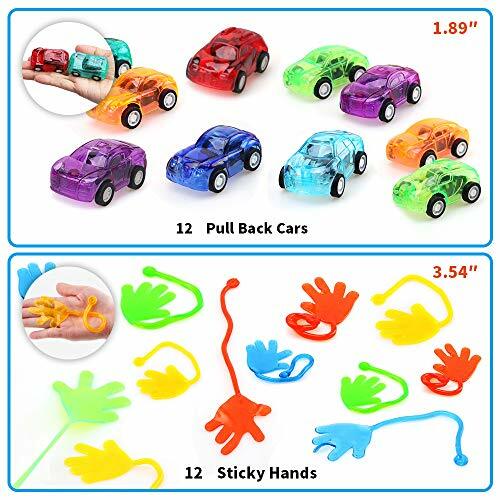 Our toys accord with USA and EU toy safety standard. Amy & Benton is a world famous brand and our products sales all over the world. Our mission is to provide happiness for kids and keep their innocence. We will very appreciate if you can share your feeling with a video or pictures in the review. 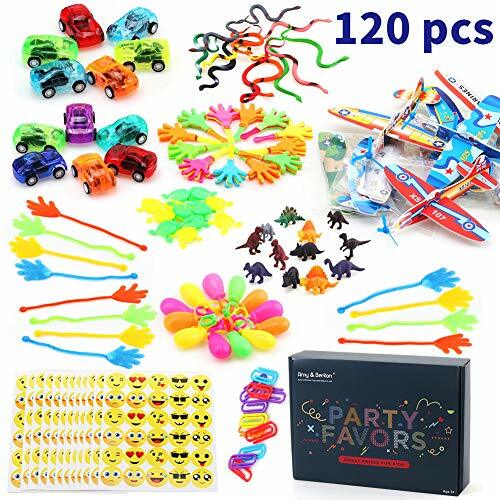 【VARIOUS APPLICATION:】Birthday party favors for kids, pinata filler for boys and girls, treasure box prizes , prize box toys for classroom rewards, toy prizes for carnival game, treasure chest toys for classroom, birthday party toy assortment, goody bag toys, birthday party giveaways,etc. 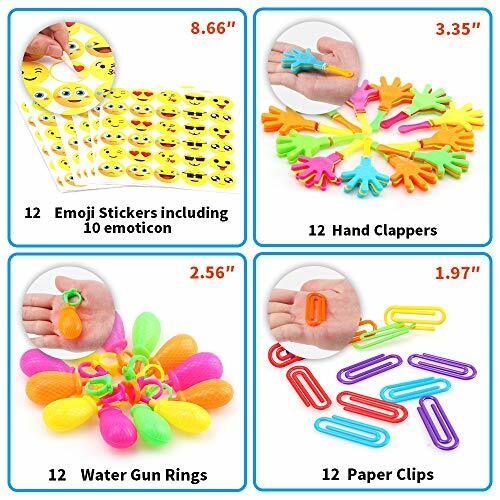 【SAVE TIME & ENERGY for PARENTS and TEACHERS: 】Solve the difficulty in collecting small toys or prizes for kids birthday party and prize box. 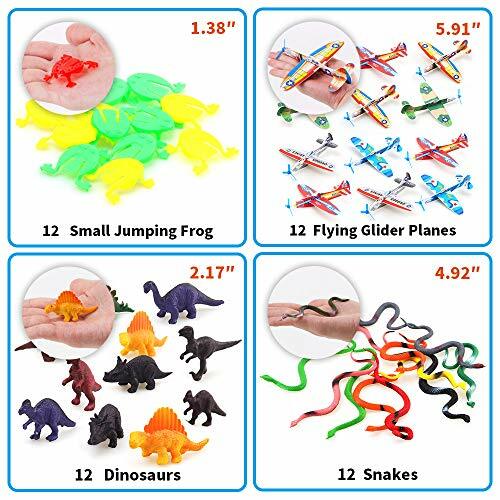 【MULTIPLE VARITIES PARTY FAVOR PACK: 】10 Kinds of small toys, each 12 pieces as picture shows. 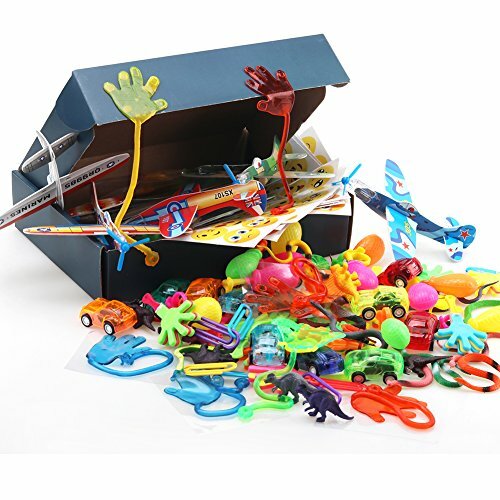 【HIGH QUALITY & BEAUTIFUL COLOR BOX: 】Very decent present for kids--they will be excited and enjoy these prizes and toys for a long time. 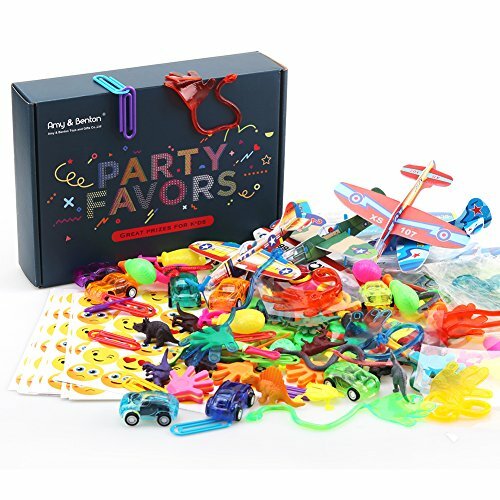 Other Toy Assortments: 60pcs pinata filler; 2 * 150pcs party favors assortment; 4* 120pcs prize box toys for classroom; Please check it in Amy&Benton.